Absolutely wonderful patio home in Cambridge Park! These sought after patio homes in a gated community with maintenance free living are hard to find. You will love the outdoor patio for morning coffee and the like. Inside enjoy the open floor plan and high ceilings, main level master suite with walk in closet. Secondary bedroom and full bath and main level laundry are all ideal for this life style. Additionally, this home has a full finished basement with a kitchenette, third bedroom, full bath and an exercise room with included equipment. Enjoy the back patio and large corner lot. Large 2 car garage with work bench perfect for the hobbyist and all around futzer. New paint and carpet make this home move in ready! 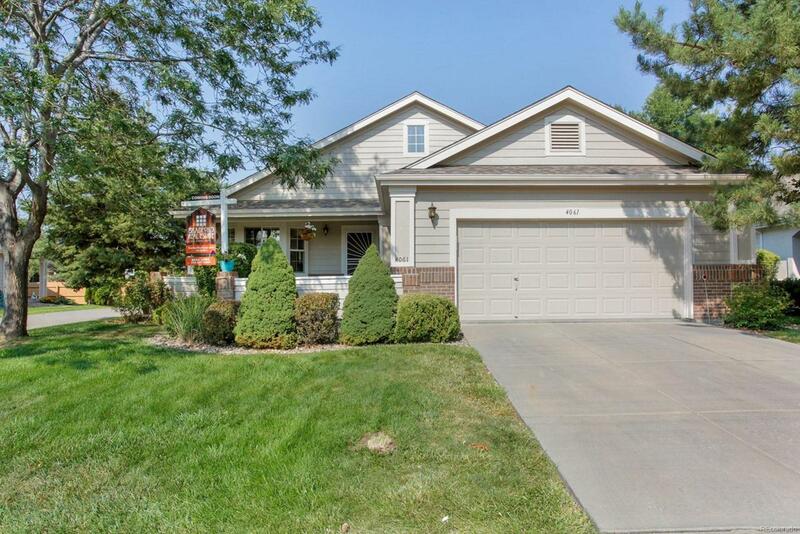 Great location, close to Wheat Ridge Rec Center, parks, trails, Starbucks and Sprouts grocery. Wonderful active community with regular clubhouse events. This is a gated community and there is a code needed to enter. Association Name Primary Cambridge Park Homeowners Assoc.